Spectacular. Soulful. Powerful. All these words could easily describe the opening night performance of the traveling production MOTOWN THE MUSICAL, currently playing at the Fox Theatre. What was my favorite part? Well, I’d have to say it was a close call between the actors’ performances, the amazing Motown tunes, the sumptuous costumes in all their vintage glory, the audience participation, the…I think you get the picture. Every element, from set design to dance choreography, came together in a balanced way to create this mesmerizing performance. For those who expect this performance to simply be a fun and light-hearted journey back through time via some great oldies will be surprised, because this play also holds depth and gravity that provides a more meaningful experience. 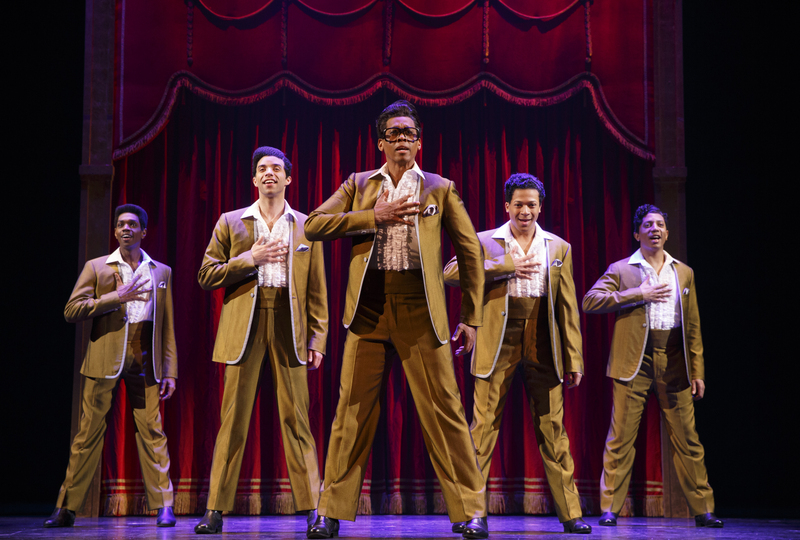 There are plenty of Motown classics to sing along to, 60 in fact, but it’s the story behind the music that truly takes this musical to the next level. There are so many details and complexities to the history of Motown, and this play successfully touches on many of those without overwhelming the audience. The first act begins with the end, and by that, I mean the first scene opens on the night of the 25th Anniversary of Motown Special honoring Berry Gordy. Even though the night is meant to honor the Motown legends and their pioneering leader, Gordy is visibly upset about the idea of seeing his former artists and co-producers, and refuses to attend the event. As he reflects on his life and his career, the character of Gordy takes the audience back in time to the beginning of Motown records, and back to the inspirations that helped make that distinct Motown sound. The first memory from Gordy is Detroit in 1936, to a specifically poignant moment in black history, as the famous African American boxer Joe Louis defeats Nazi competitor Max Schmeling in a historic victory for the United States. The Gordy family is listening to the match over the radio, and when Louis’ victory is declared there is excitement and celebration from everyone listening. This moment in time is an important one for young Berry, as it inspires him to pursue his dreams no matter the obstacles. Although the event is seemingly unrelated to Motown, it is important because it conveys to the audience that while the character of Berry Gordy appears to be the focus of this story, the foundation of the play is the constant struggle for recognition and equality between black and white people. As the play moves on through time, the various personalities behind Motown begin to shine as relationships are explored and artists emerge. The moments between Diana Ross and Berry are represented, as are the interactions between Gordy and Marvin Gaye. Through it all we see the evolution of the Motown “sound”, and we see the clash of personalities as the record industry changes. A poignant moment for me was near the end of the play, when Motown records begins to lose some of its biggest stars. For Berry Gordy, these relationships went beyond the usual manager/performer relationship. He cultivated these artists, many of whom began recording with him right out of high school, but it was his level of participation and control that would eventually cause some artists to leave for better deals. Breaking into a white music industry required a lot more perfection and a polished quality from the studio, which Gordy and his team provided, but when that same artist became established and desired artistic freedom, the relationship between the producer and the artist became strained. 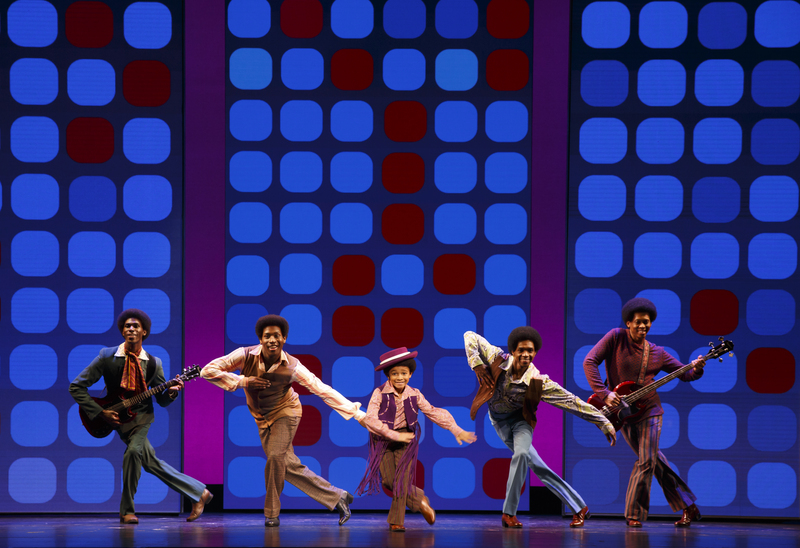 The play goes into this tenuous aspect of Berry Gordy and Motown’s past, and since it was co-produced by Gordy himself, there’s a sense that musical is his way of providing his perspective on these events. The musical ends on a high note (pun intended) and I won’t spoil the ending for you, but it is the journey through the past that is really captivating. Most of the audience for opening night was over the age of 60, but don’t assume that meant the audience was tame. Many people sang along, clapped, and shouted encouragement to the characters, all of which created a wonderful and warm atmosphere. As we were taken through Motown in the late ‘50s and early ‘60s, I was reminded of how many members of the audience lived through those moments. When it was 1963 and the characters learned that President Kennedy was shot, I could hear many people seated behind me gasp, as if they were thinking about it all over again. It was powerful moments like this that really stayed with me throughout the performance. The cast was PHENOMENAL. I expected Chester Gregory (Berry Gordy) and Jarran Muse (Marvin Gaye) to be fantastic (which they were), as these actors played the same roles on Broadway. What I was not expecting was Allison Semmes’ spectacular performance as Diana Ross, but considering her awards for this role it all makes sense now. Her versatility and stage presence was mesmerizing, and her interactions with the crowd felt natural and fun. This actress is one to watch out for, and I hope she continues to pursue musicals like this that allow her talents to shine. 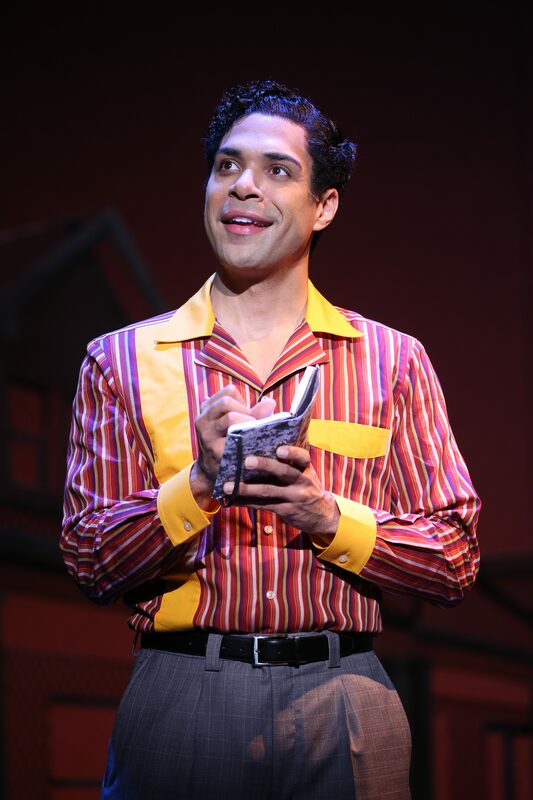 Other great performances from this musical include David Kaverman as Smokey Robinson and CJ Wright as young Berry Gordy/young Smokey Robinson/young Michael Jackson. The supporting actors and actresses put their souls into the opening night performance, and kudos should be given to them for their work in making this a fabulous show. Before I move away from the incredible performers, I’d like to add that if you want to see a group of women 50 years or older go wild in the Fox Theatre, all you’d have to do is bring out Jarran Muse as Marvin Gaye and leave him to it. His performance was spot on, but what I loved most was the way the ladies in the audience responded to him. After all these years, Marvin Gaye is still a legend. The only issues with the performance that I could see were technical glitches with the background (which were computer-based), and the distracting microphones that were attached to the wigs of the performers. I spent about 15 minutes during the entire performance trying to figure out what those were, then gave up because I decided it was best not knowing. MOTOWN THE MUSICAL was a fun, fascinating, and extremely engaging show. How many people can say that they belted Motown classics inside the Fox Theatre with hundreds of other people while the play’s cast cheered on? This musical will be in town at the Fox until March 26th, so be sure to check out this great performance before it’s too late.